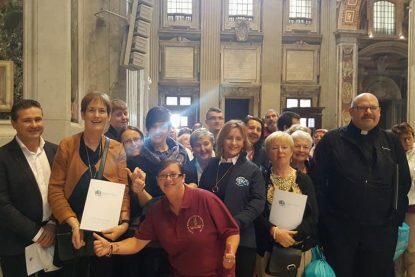 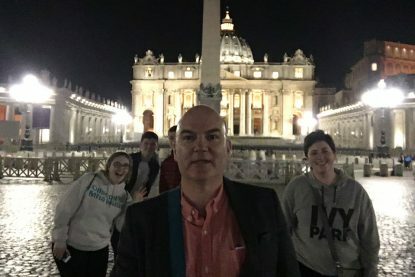 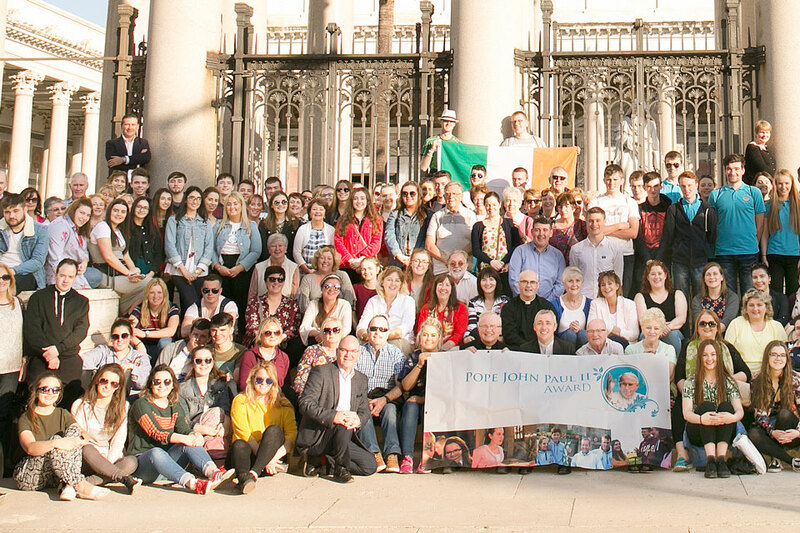 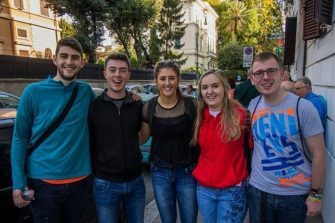 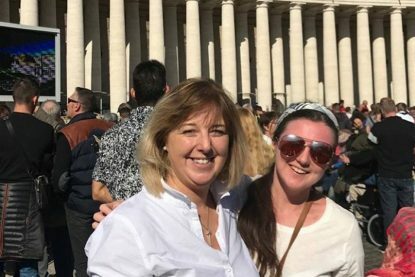 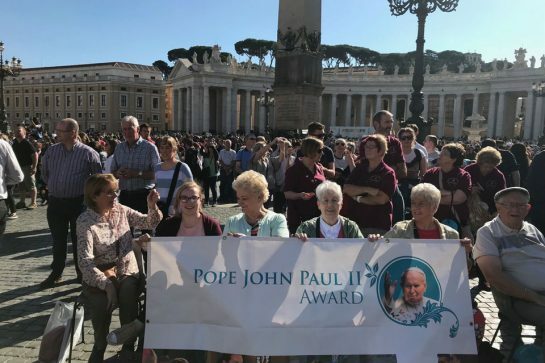 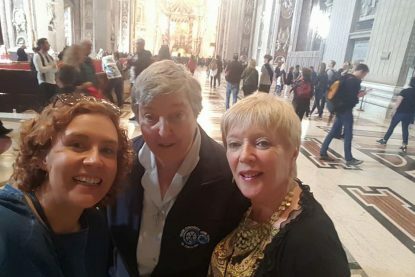 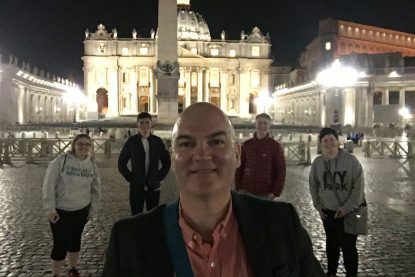 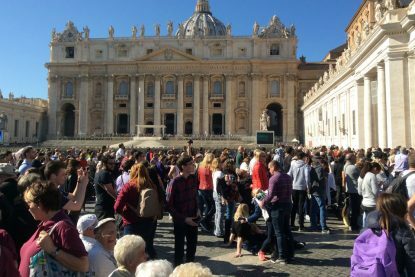 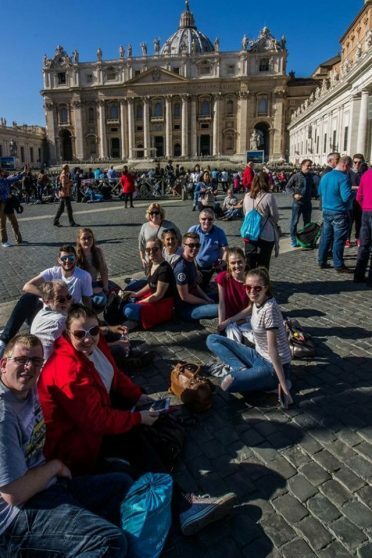 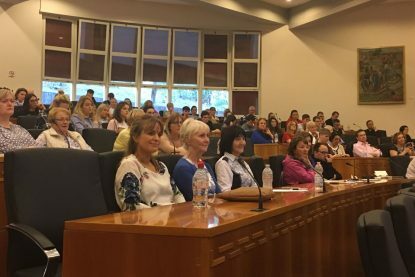 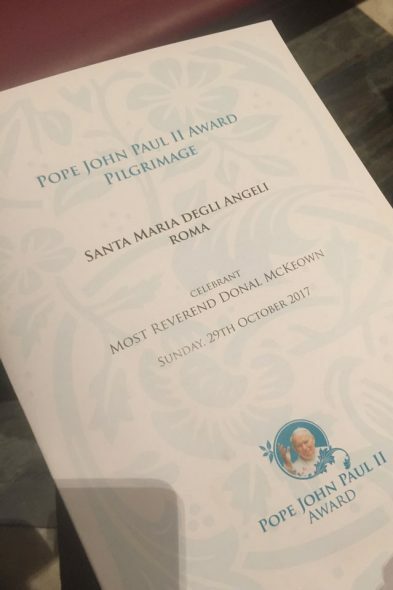 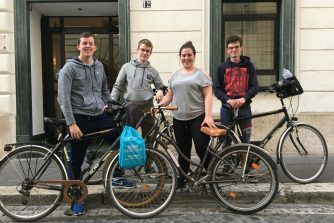 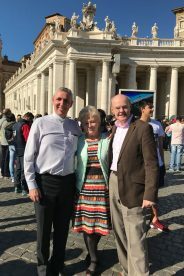 In autumn 2017, 181 people from 11 dioceses from across Ireland took part in our special pilgrimage to Rome to celebrate 10 years of the Pope John Paul II Award. 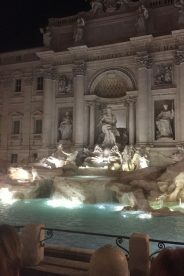 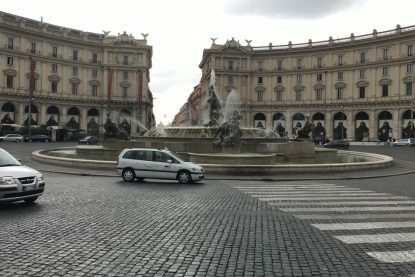 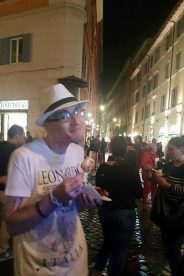 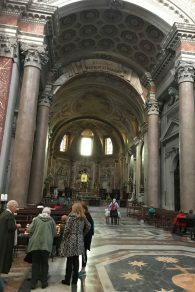 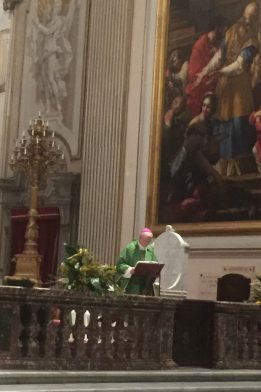 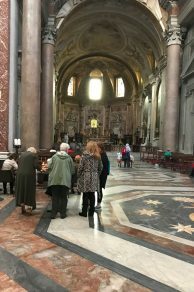 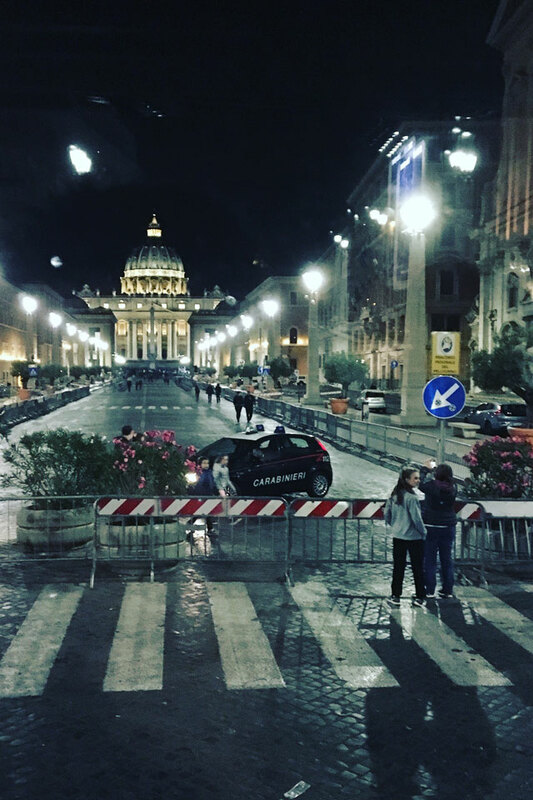 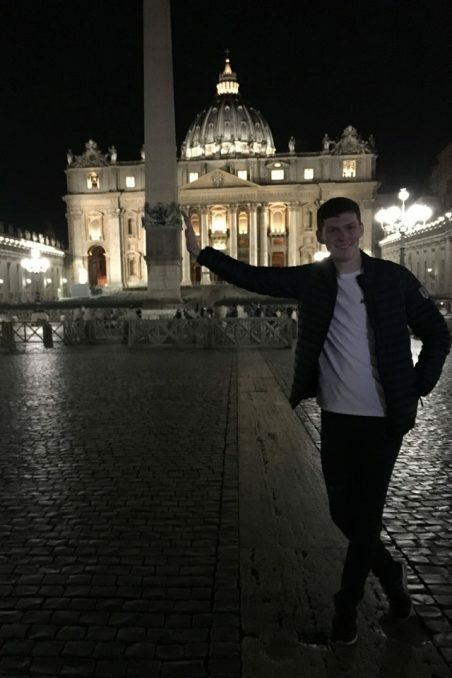 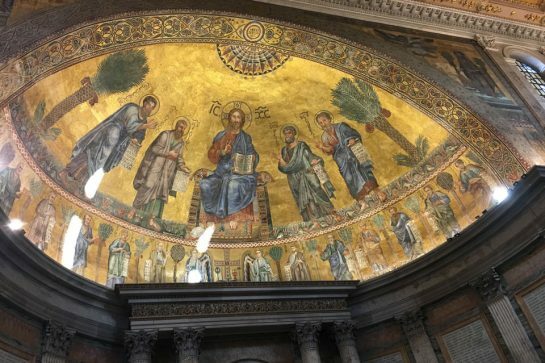 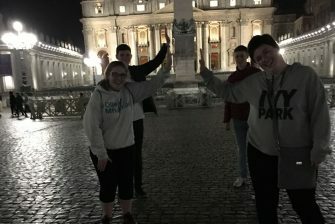 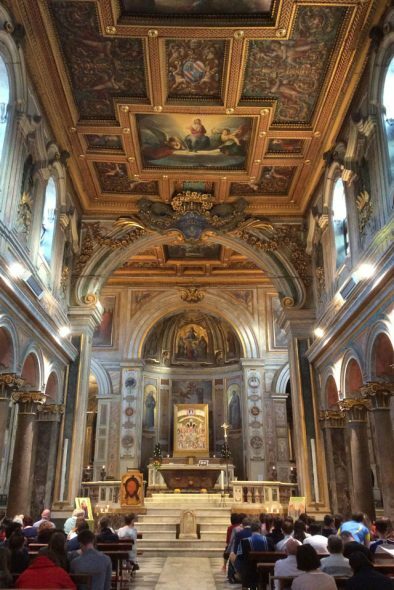 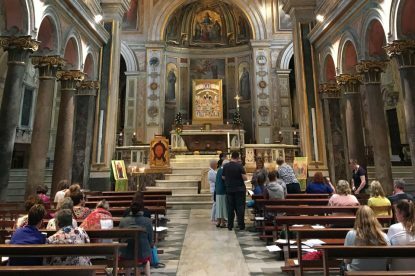 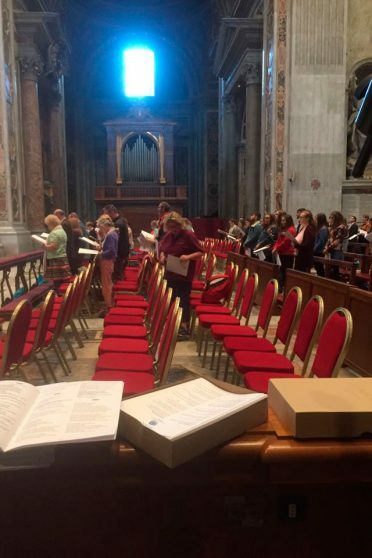 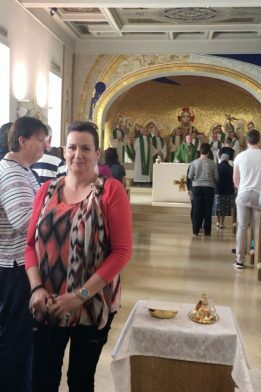 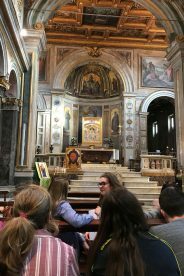 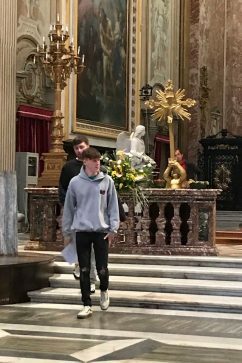 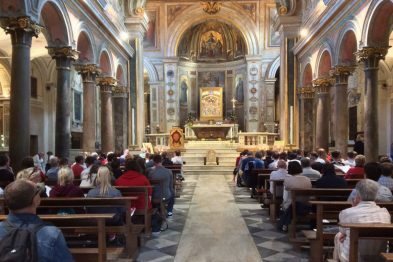 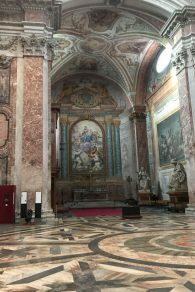 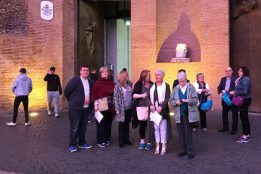 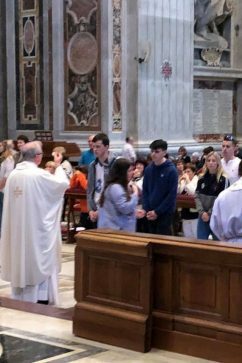 From Sunday, 29 October to Friday, 3 November 2017 the group took part in daily Mass, activities, talks, liturgical celebrations and tours while experiencing the wonderful city and culture of Rome. 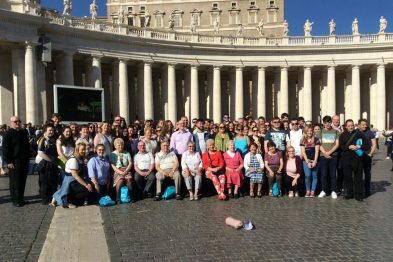 Click the image to download the full size image of the whole group. 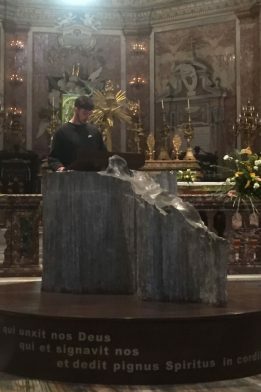 The full pilgrimage took place over 6 days. 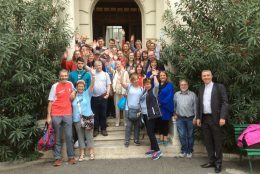 Participating dioceses were organised into 4 groups, each arriving and departing at different times over the 6 days. 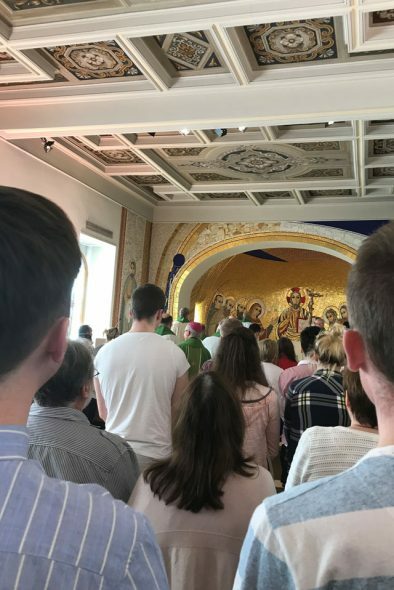 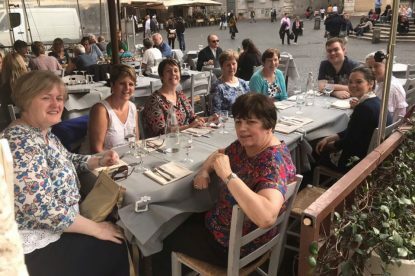 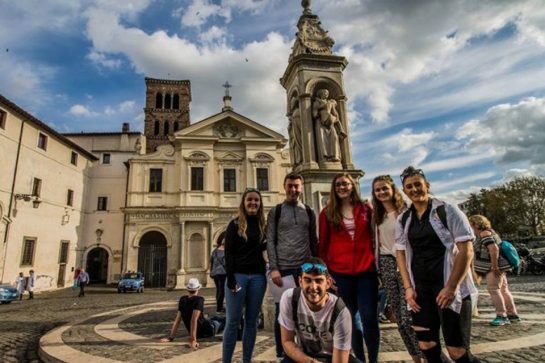 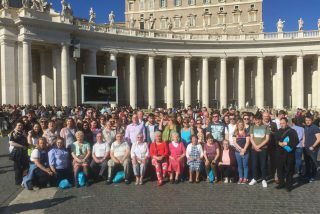 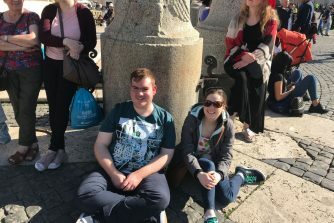 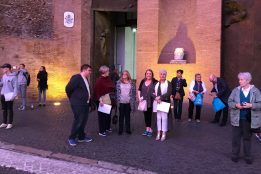 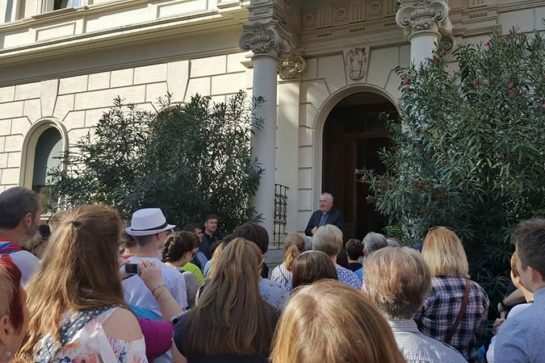 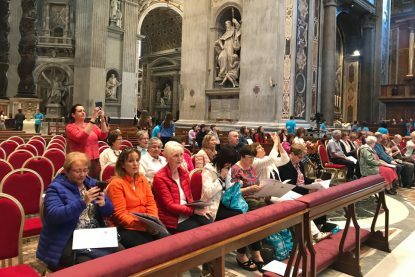 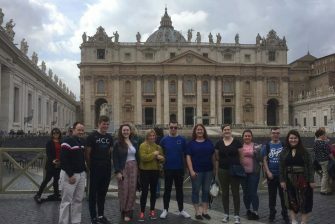 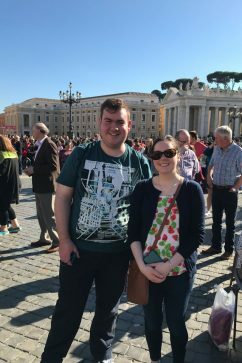 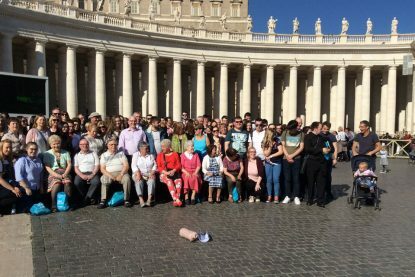 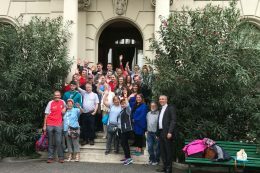 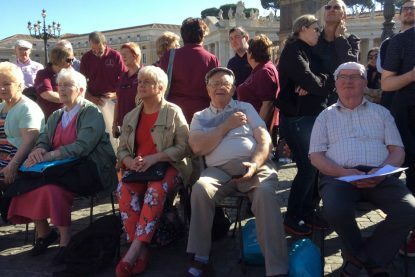 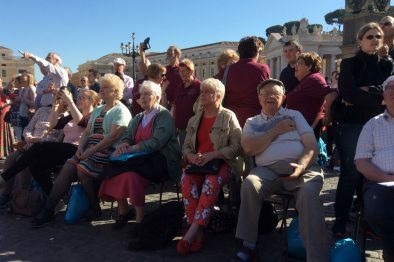 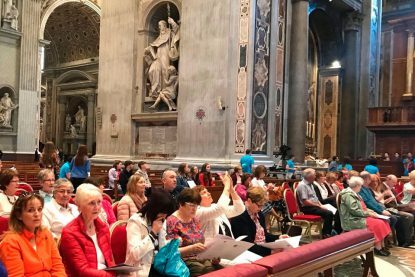 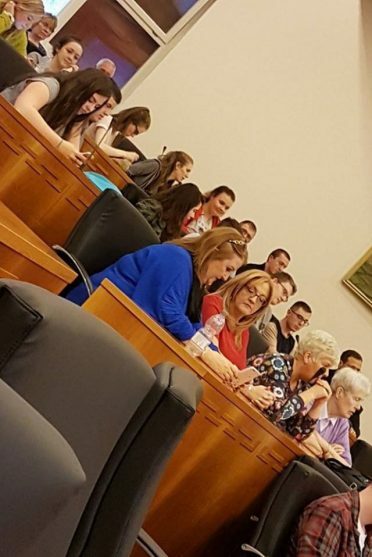 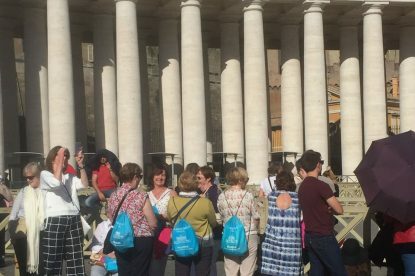 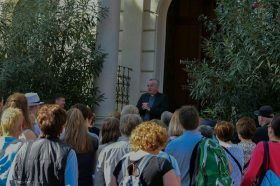 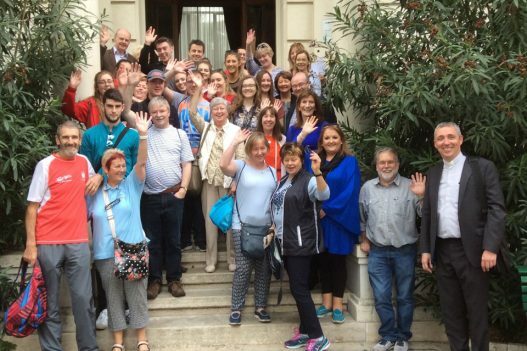 People of all ages from 11 Dioceses across Ireland gathered on pilgrimage in Rome with a few extra from the dioceses of Achonry and Down & Connor. 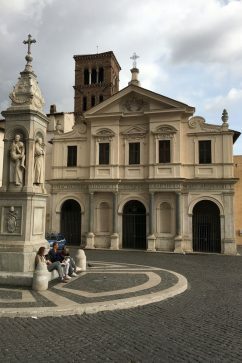 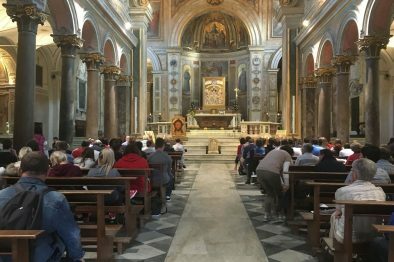 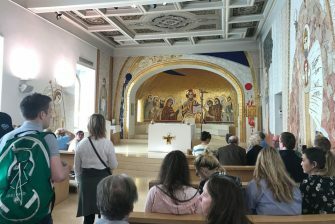 All pilgrims participated in an afternoon Penitential Service at the Basilica of San Bartolomeo on the Tiber island of San Bartolomeo. 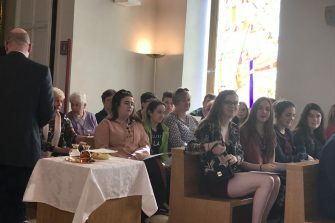 The service was lead by Bishop Donal and Fr Paul Farren. 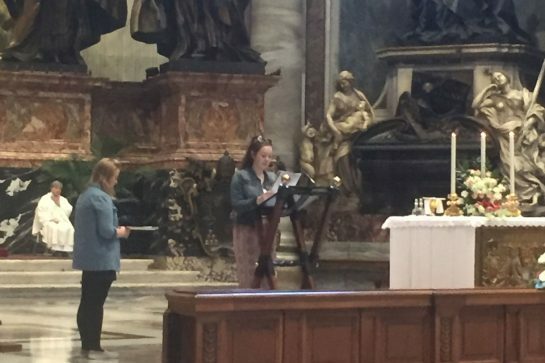 Many JP2 participants carried out various roles during the service including readings, prayers, singing and music. 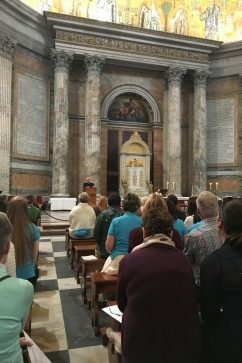 The service gave pilgrims time to reflect on their pilgrimage and the opportunity to celebrate the Sacrament of Confession. 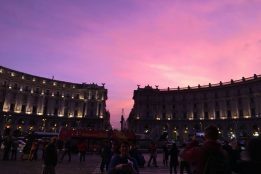 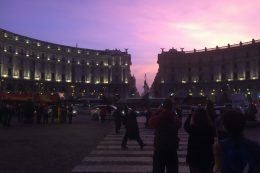 As pilgrims left the Basilica of San Bartolomeo that evening at dusk, nature treated us to a remarkable display of a starling murmuration. 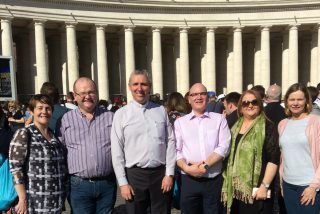 Concelebrants: Monsignor Ciaran O’Carroll , Fr Paul Farren, Fr Michael Toomey, Fr Liam Murray, Fr Brian Fitzpatrick, Fr Stephen Farragher, Fr Billy Caulfield. 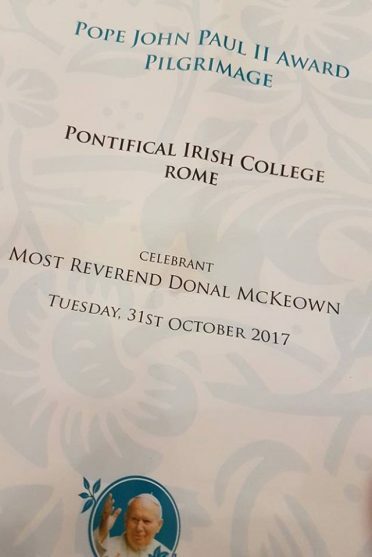 Concelebrants: Monsignor Ciaran O’Carroll , Fr Krzysztof Wieliczko, Fr Paul Farren, Fr Michael Toomey, Fr Brian Fitzpatrick, Fr Billy Caulfield. 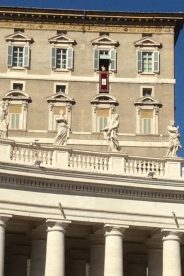 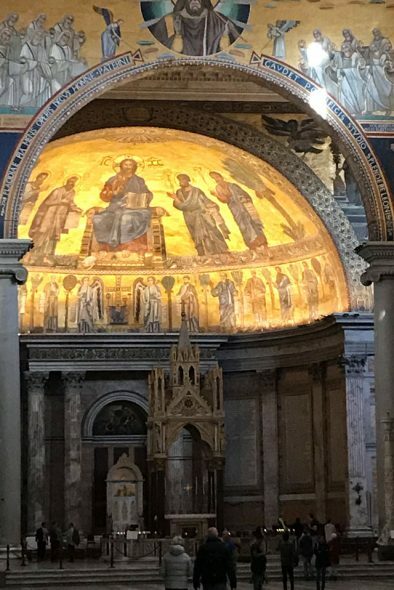 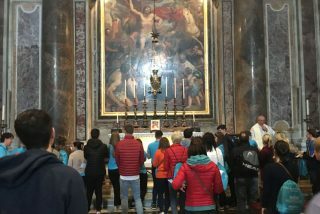 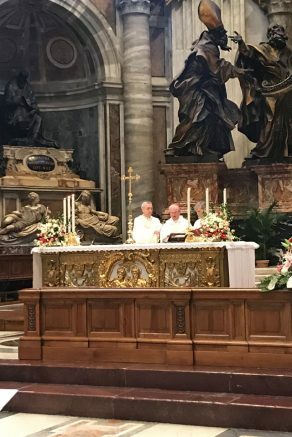 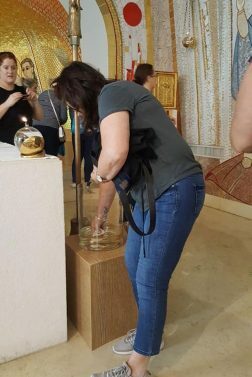 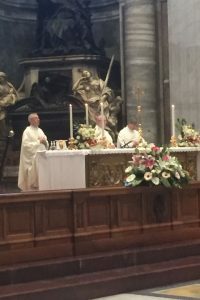 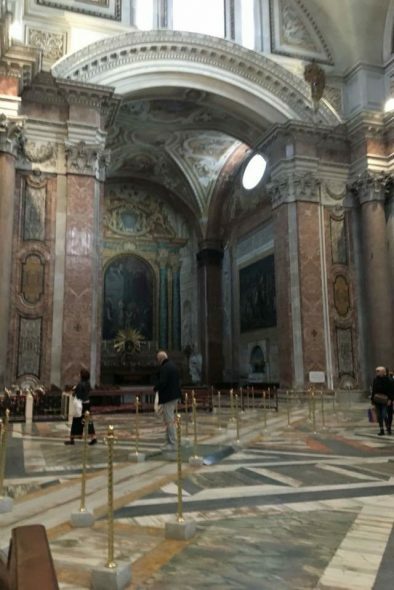 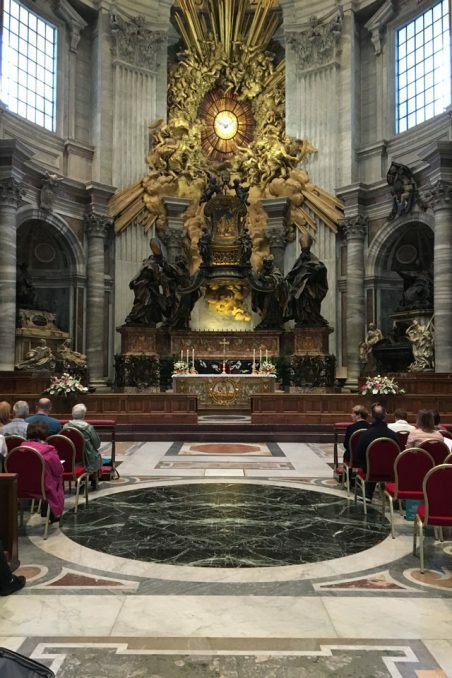 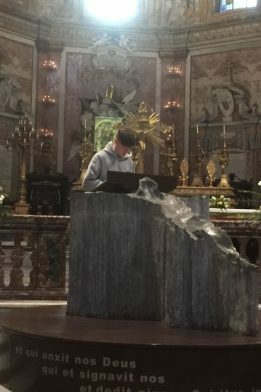 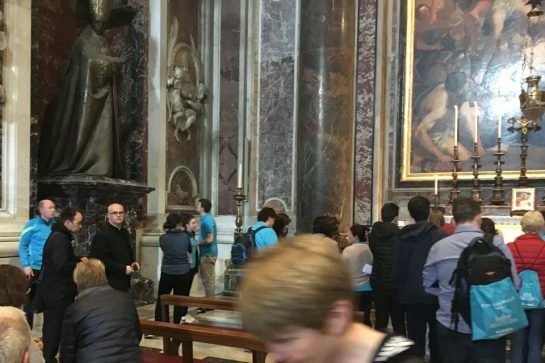 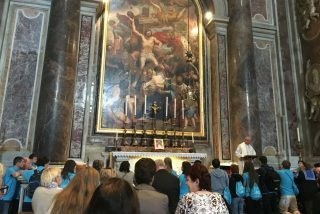 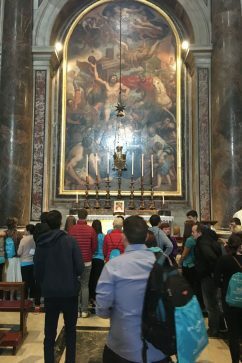 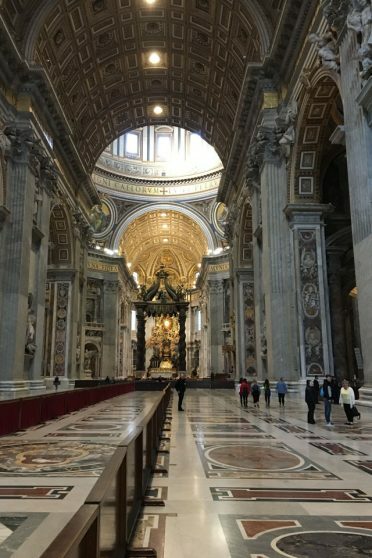 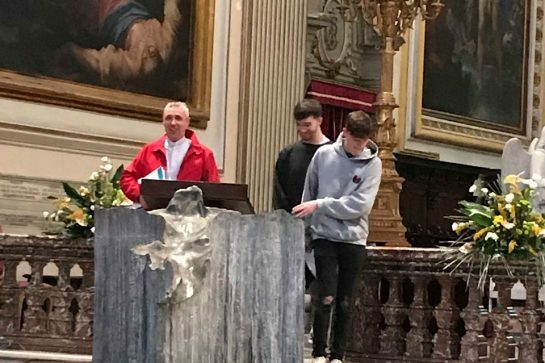 After Mass at the Altar of St Peter’s, the pilgrimage group were given special permission by Bishop Lanzani, Fabbrica di San Pietro, to visit the Tomb of Saint John Paul II for private prayer. 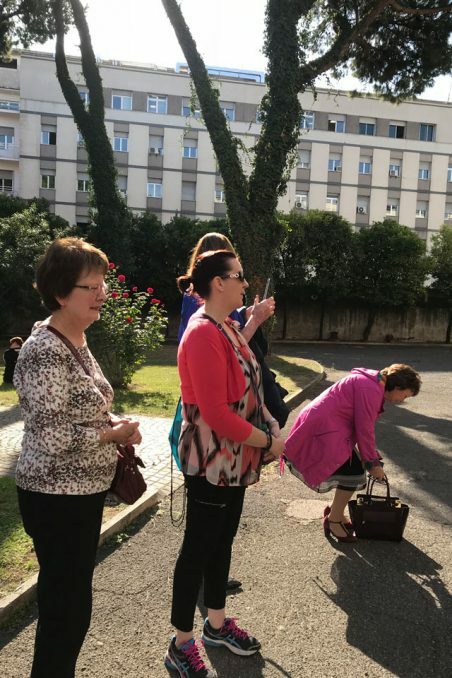 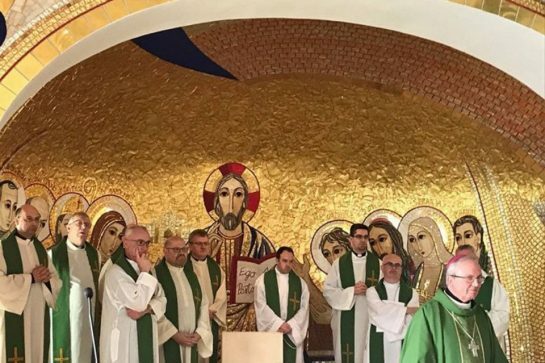 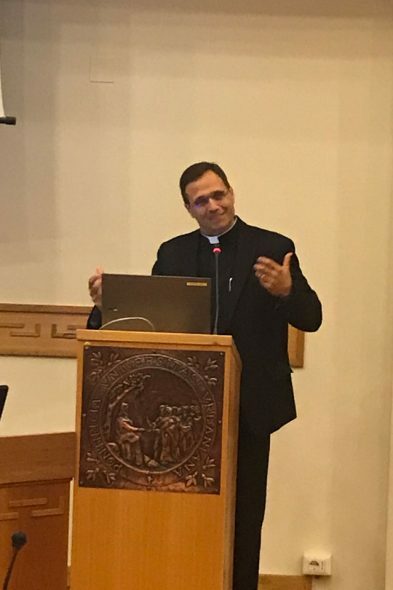 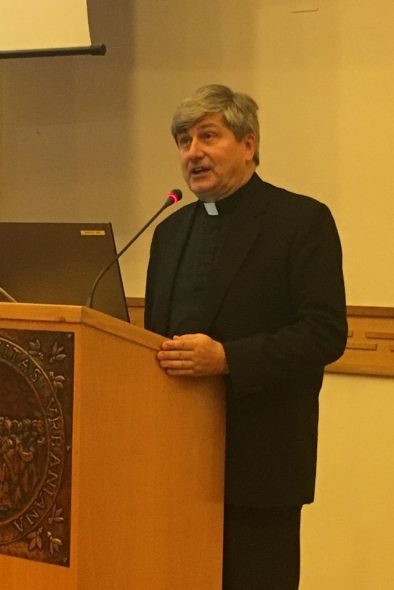 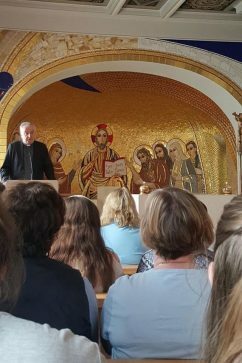 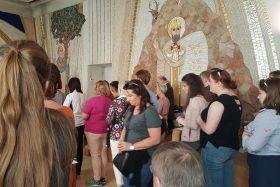 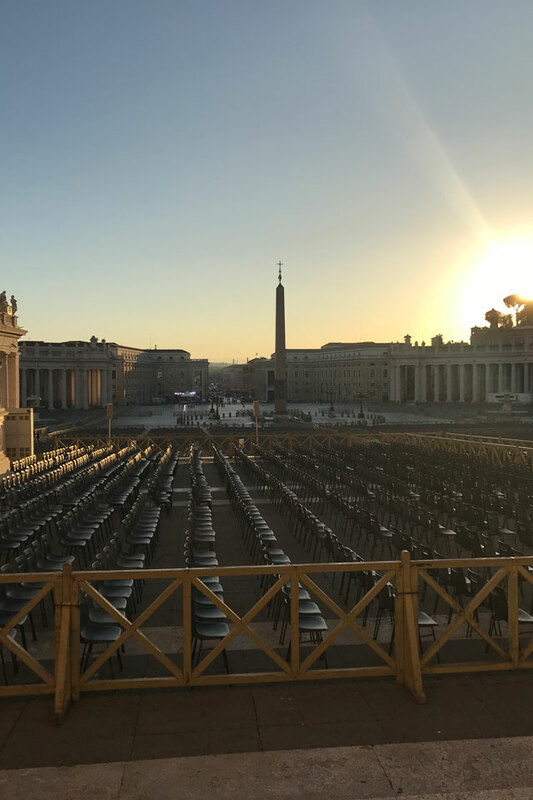 Lead by Bishop Donal, pilgrims had the opportunity to pray at the tomb and reflect on the contribution they make to their parishes and communities through the Pope John Paul II Award. 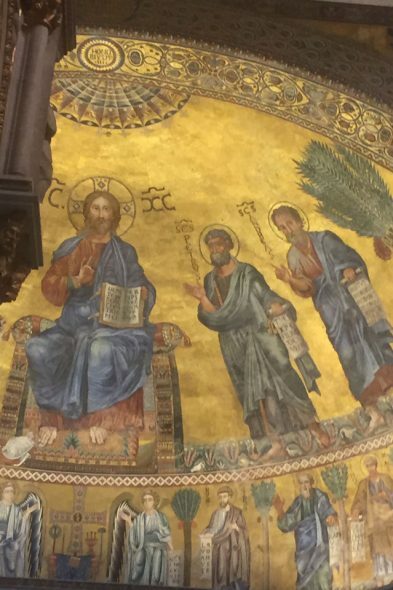 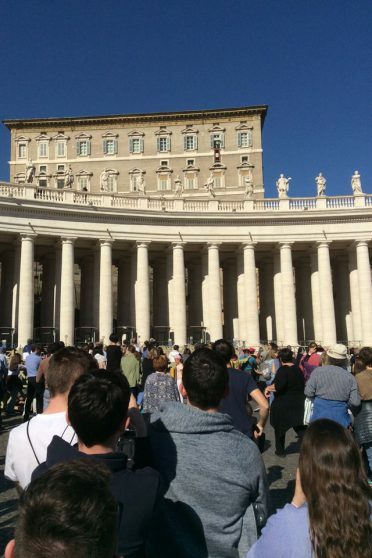 Special significance to the pilgrimage is at 12:15 in the video of Pope Francis. 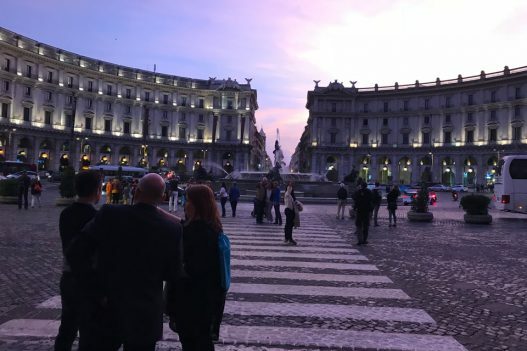 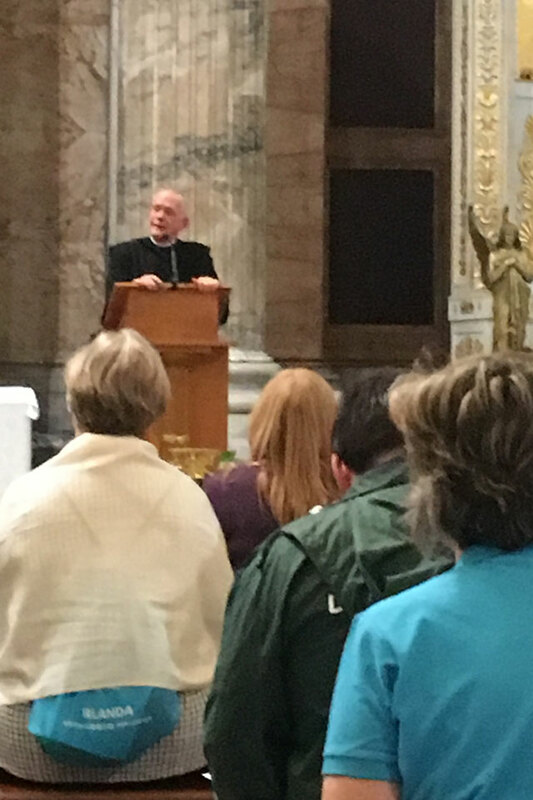 On the evening of 1 November 2017 the group assembled at the Basilica of St Paul’s Outside the Walls where they joined Cardinal James Harvey, Archpriest of St Paul Outside the Walls and Fr Edmund Power, former Abbot of the Basilica for evening prayer. 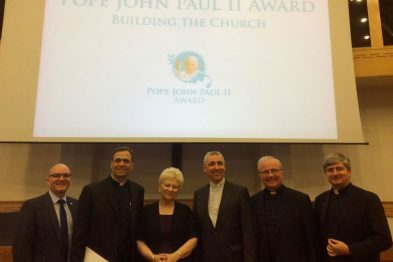 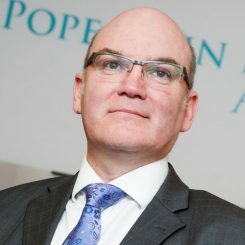 In 2010, Fr Power was the guest speaker at the Diocese of Derry Award ceremony. 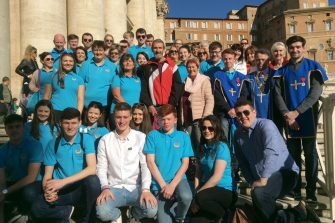 Abbott Edmond Power with Bishop Seamus Hegarty and Lumen Christi students at the Diocese of Derry Award ceremony in 2010. 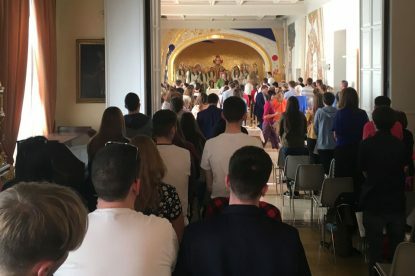 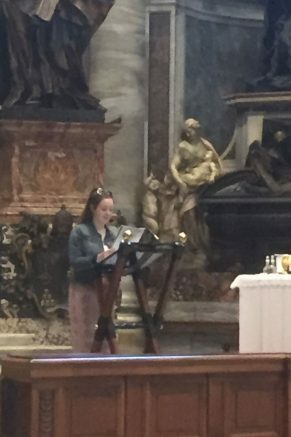 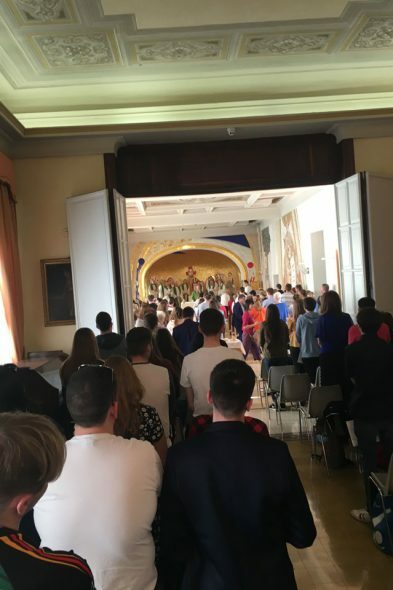 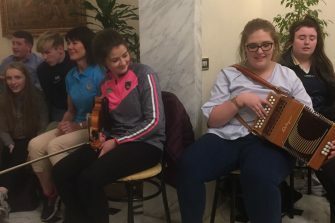 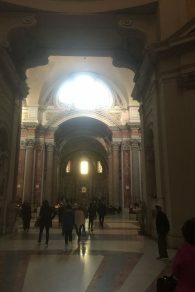 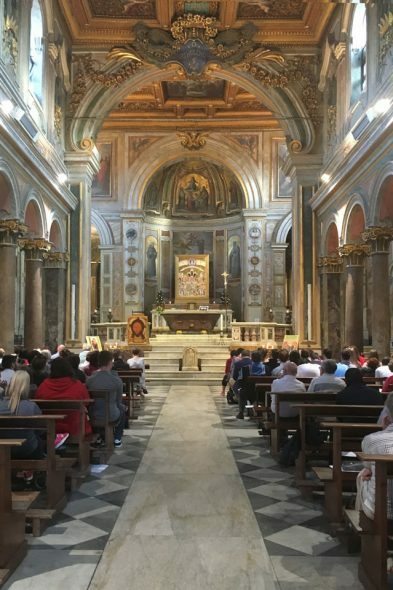 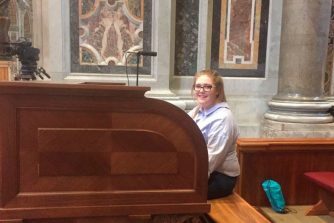 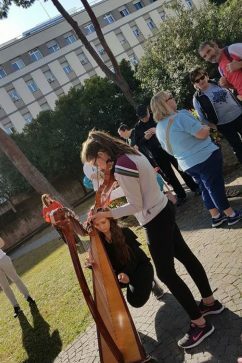 The Irish Ambassador to the Holy See, Emma Madigan met the young people on pilgrimage at the Basilica San Bartolomeo all’Isola and was treated to an impromptu recital of Hail Glorious St Patrick. 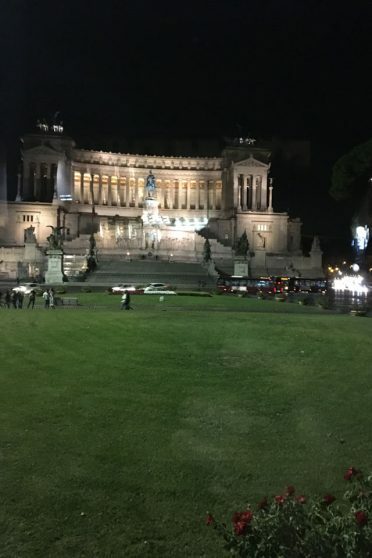 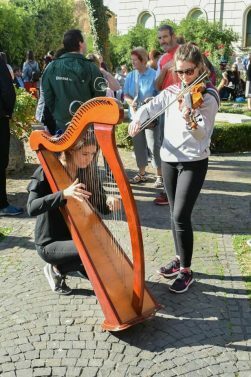 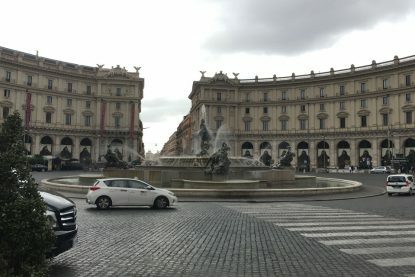 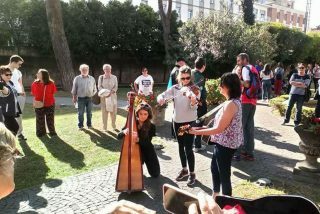 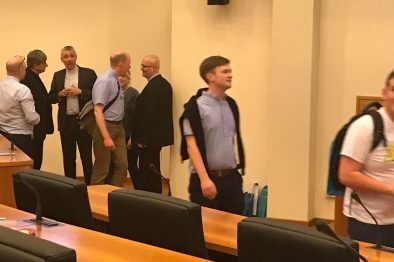 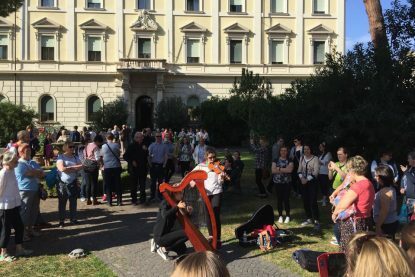 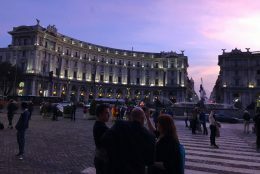 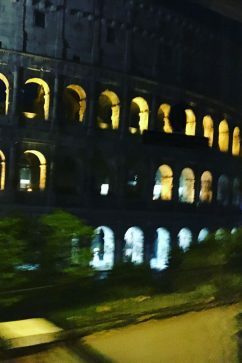 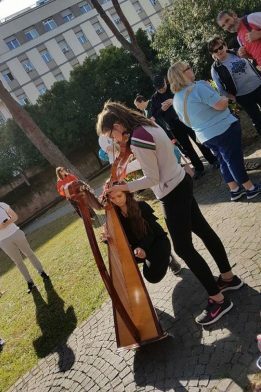 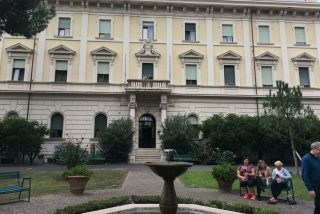 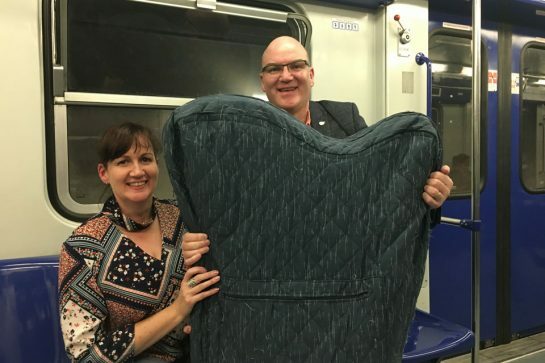 The Embassy had assisted in sourcing a harp for use by the group while in Rome after a call out on social media for assistance. 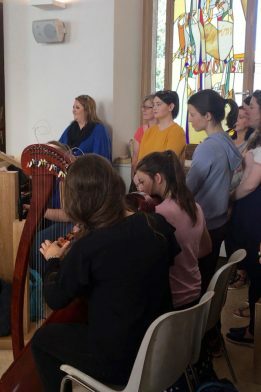 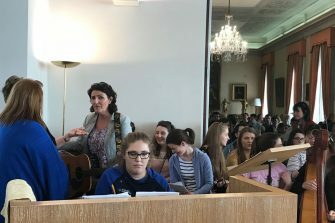 Ambassador Madigan heard from those present about the work and activities they carry out in their parishes and was treated to an impromptu performance of ‘Hail Glorious Saint Patrick’ accompanied by said harp! 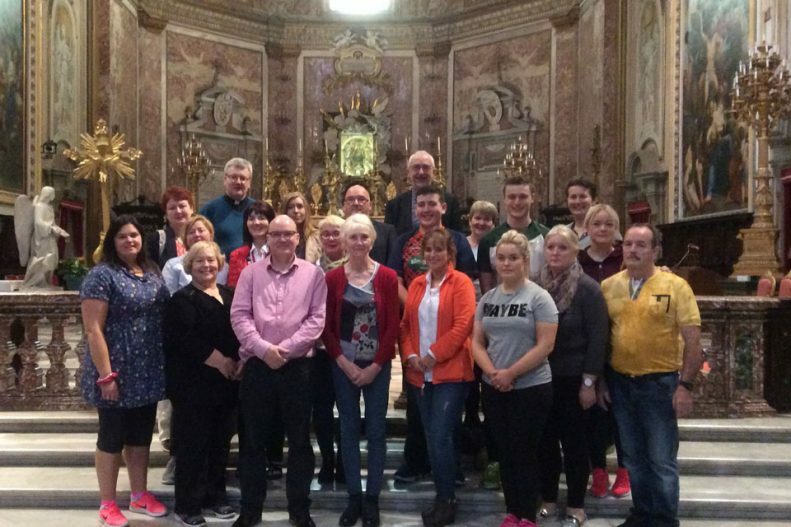 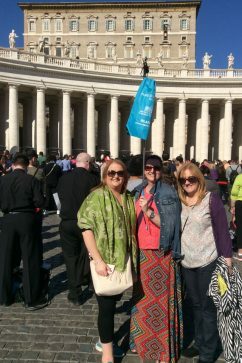 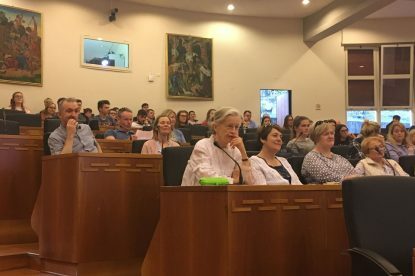 Irish Ambassador to the Holy See, Emma Madigan met with Award participants and Leaders on pilgrimage to Rome. 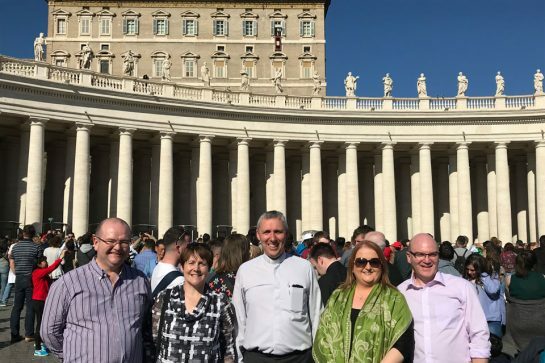 Irish Ambassador to the Holy See, Emma Madigan meets Award Leaders from the Archdiocese of Tuam. 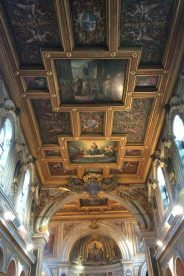 And lastly, the inbetween stuff!